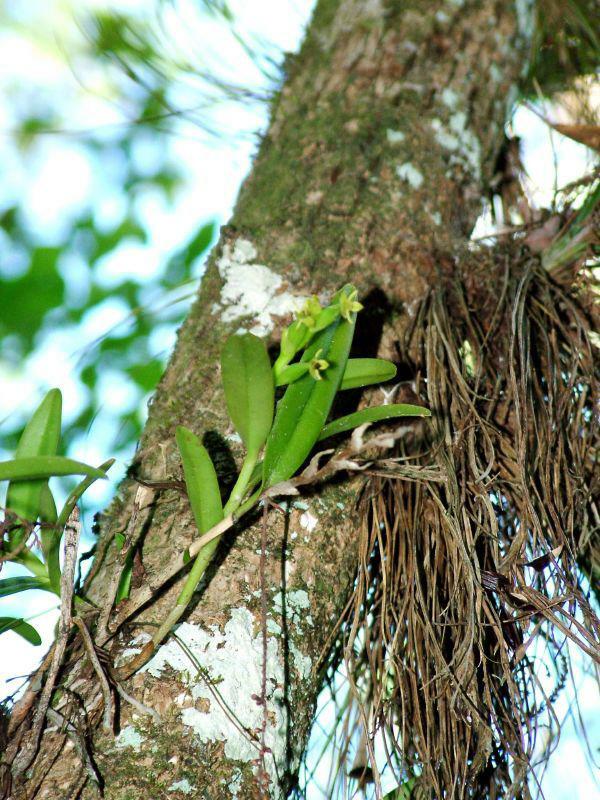 Epidendrum rigidum, the Rigid Epidendrum, is native to south Florida and the Caribbean Islands, and extends from Mexico to Peru. 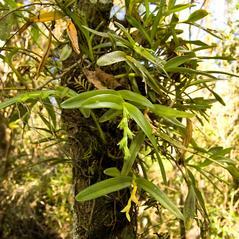 The erect or pendulous reed-like stems unite at the base to form a creeping rhizome. 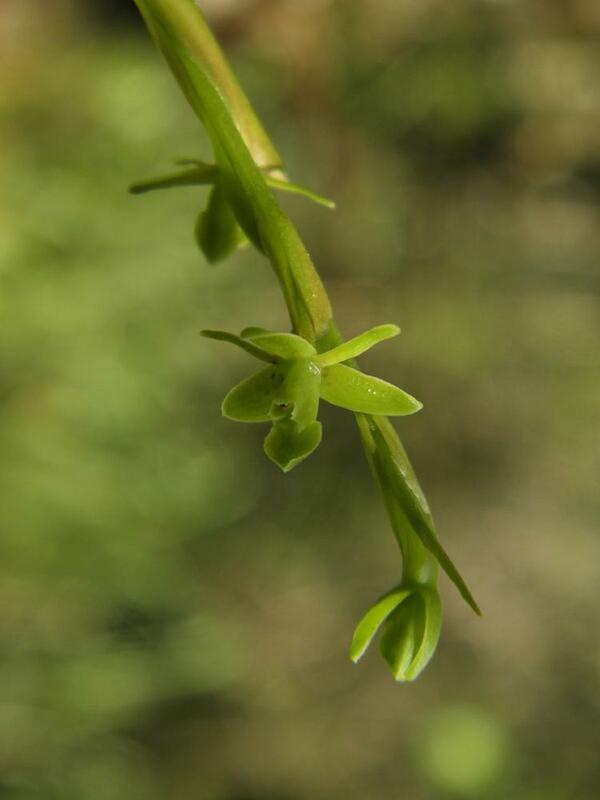 The leaves are alternate and the inflorescence has large floral bracts with 3-15 sessile, non-resupinate, marcescent flowers on a terminal spike. 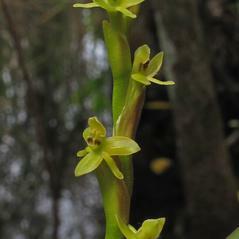 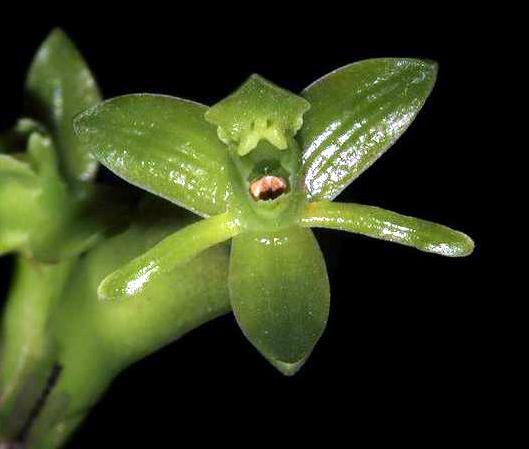 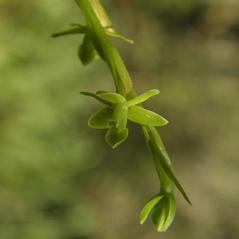 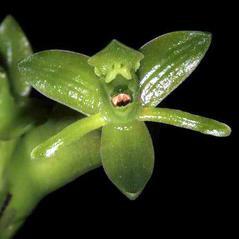 The alternating pattern of green flowers has given rise to the local name the "zigzag orchid". 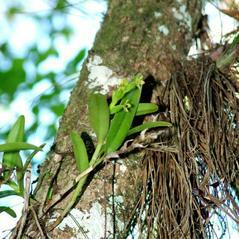 This orchid grows on tree branches and trunks in swamps and hammocks, including mangrove forests. 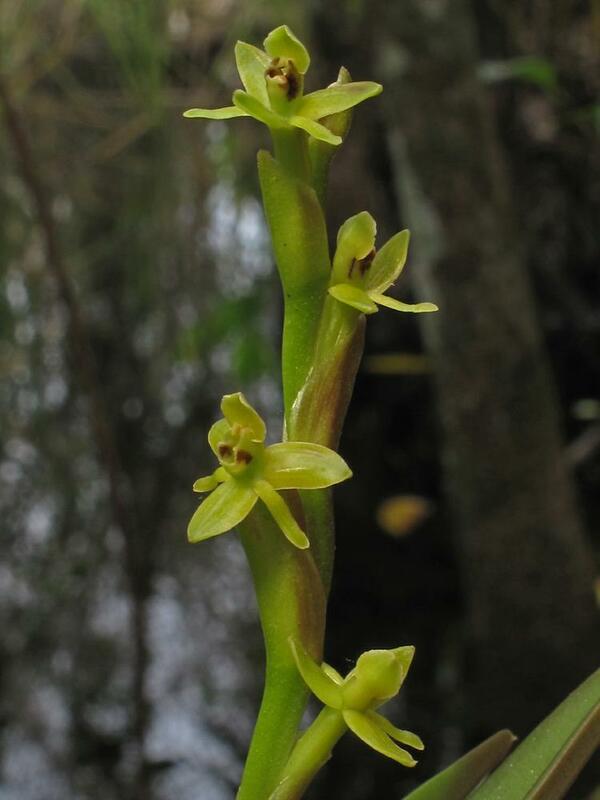 Epidendrum rigidum is apparently secure across its wide range but is endangered in south Florida. 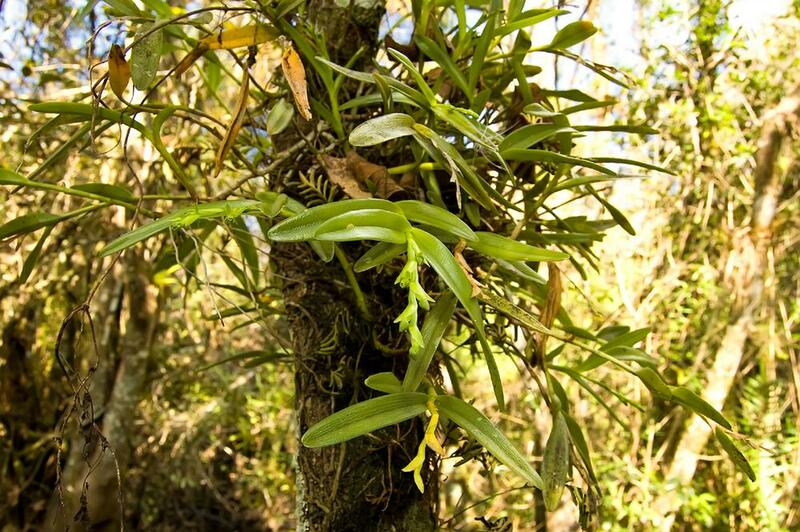 This orchid is autogamous and does not need a pollinator for reproduction.